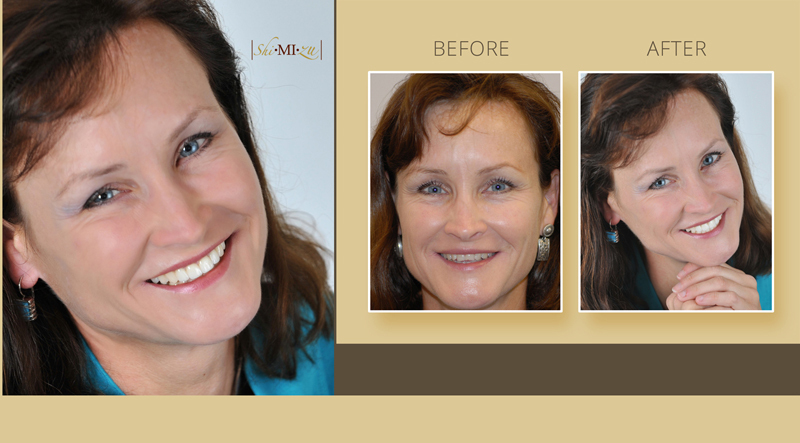 Toni had two front crowns that were bucked. 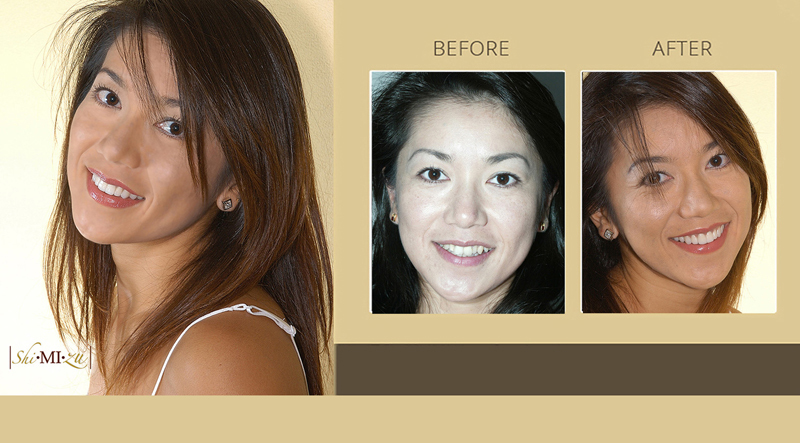 The color of those crowns was too white and opaque which made them even more prominent. 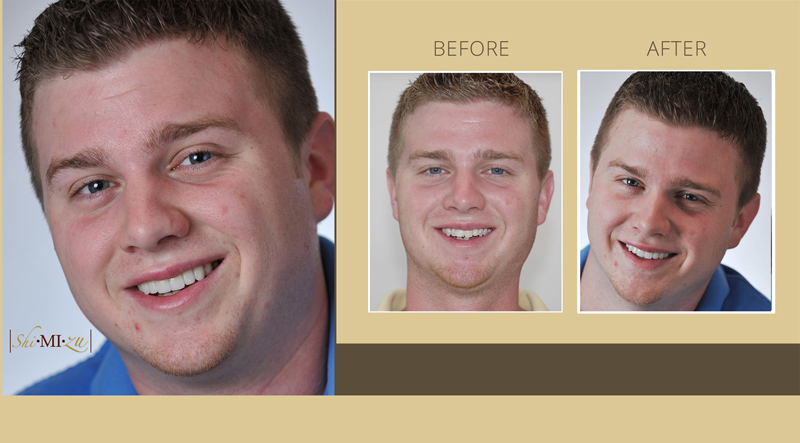 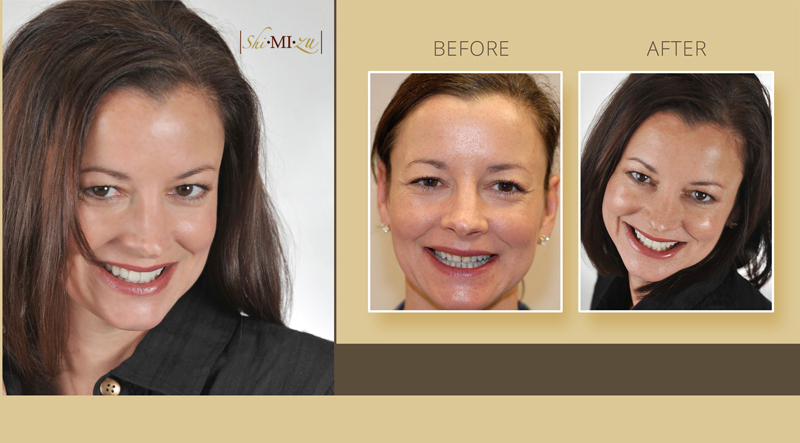 We achieved a nice even smile with eight veneers and all porcelain crowns. 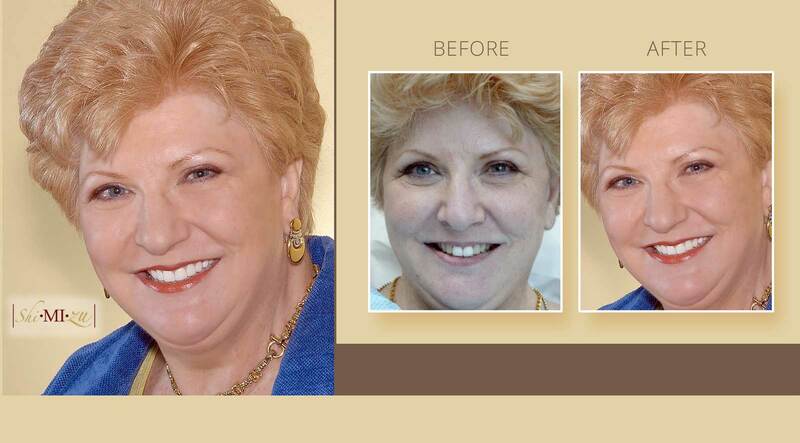 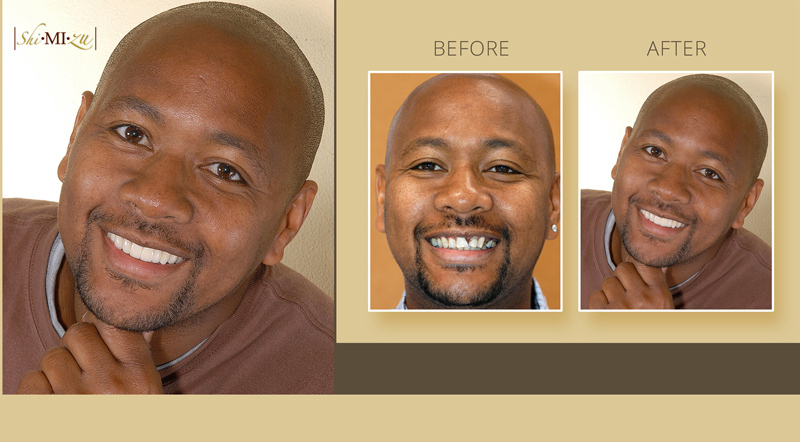 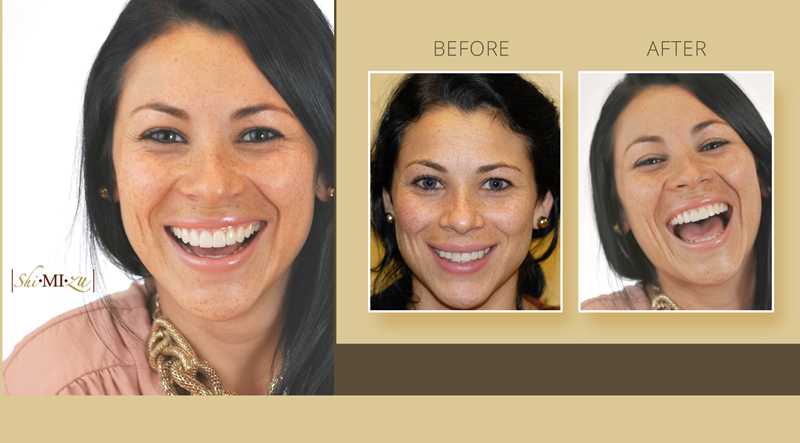 A well-shaped smile comprised of bright, white teeth lends to a youthful appearance. 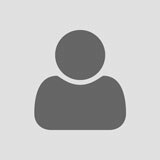 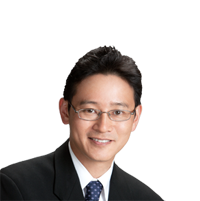 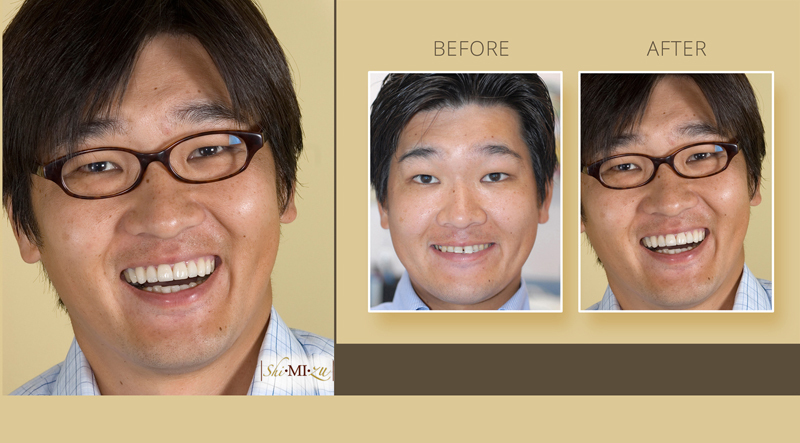 Dr.Shimizu is an experienced cosmetic dentist. 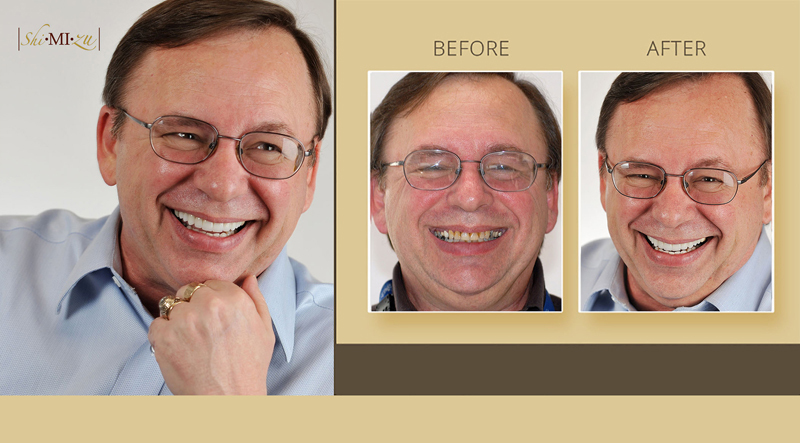 He will attach your pocelain veneers and crowns correctly the first time, giving your a new smile that will make you look and feel more attractive.